The Order of Melchizedek is known as the one true Spiritual Priesthood. I use “is” because the Order spans lifetimes and centuries It is timeless—eternal. They are the Cosmic Priests to the priests—evolved beings who have dedicated themselves to the work of promoting spiritual growth wherever it is possible. They exist through every dimension and upon every sacred planet. Melchizedek was the first priest mentioned in the Old Testament of the Bible. (Genesis 14:18-20) Melchizedek is mentioned again in the New Testament book of Hebrews as the oldest priest of a higher order, more ancient and direct from God, than the Children of Israel (the Levite) priesthood. This means that Melchizedek pre-dates the Levite priesthood. The mysterious Melchizedek, who is said to have “no origins, nor parents,” is frequently described as the “King of Righteousness” (meaning the right use of consciousness). Other references to Melchizedek refer to him as “the Priest of the most high God” who met with Abraham as he returned from his battles. Melchizedek received Abraham’s tithes and gave him bread and wine, foreshadowing the communion ritual later established by Jesus. Melchizedek is discussed at some length in Chapters 5-7 of Paul’s Epistle to the Hebrews. Here, Jesus is repeatedly referred to as a “High Priest of the Order of Melchizedek.” It is believed that part of Jesus’ mission was to re-establish the planetary Priesthood of Melchizedek on earth. It is said that all the earth’s great spiritual traditions, mystery schools and religions, were all seeded by the same fundamental principles or Laws of God translated through the Melchizedek Consciousness. Is it any wonder that for centuries people have been asking—just who is this Melchizedek and where did he come from? From what I’ve learned, the spirit known as Melchizedek came to the Earth before it was truly formed. While the nature of this human experiment was still being shaped by the Elohim (the angels or some translate that to mean star beings), these beings took it upon themselves to attempt combining free will and spiritual awareness within the physical human realm. When spirits began to descend into physical bodies, beginning with that society we now call Lemuria, the spirit of Melchizedek began to incarnate and offer guidance to these beings who through experimentation with free will, often became trapped in physical form and illusion. (These are the early creation stories, where there existed half men, half animal/beast entities.) As the experience of Lemuria reached an end and it was necessary to descend further into the physical realm, what we know as Atlantis began and Melchizedek’s work shifted to that area. The violent end of Atlantis caused a serious disruption in the natural descent and plunged humanity deeper into the physical without any conscious connection to its spiritual nature. This situation called for some sort of drastic action. The spirit of Melchizedek finally arrived at a plan to restore self-awareness and spiritual growth with the help of many other advanced spiritual beings. 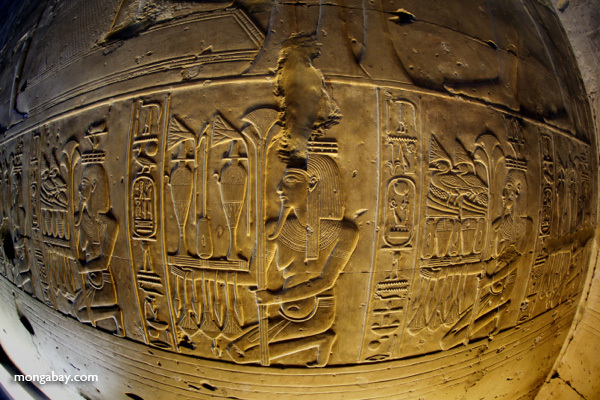 For this end, the Egyptian mystery schools were established. The goal of these schools was to elevate individuals into that awareness that has come to be known as Christ Consciousness. Many of those achieving Christ Consciousness stayed in Egypt to carry on the work there, and Melchizedek temples were set up for the purpose of teaching dedicated initiates how to unfold their spiritual gifts. The ultimate purpose was to help their brothers and sisters to freedom. No matter what ideology or religion, every ascended master, avatar or sage must go through the Melchizedek initiations, whether in a temple or in the inner dimensional planes. Over the centuries, Melchizedek teachings have influenced the writings of some of the gnostics, as well as in the Masonic, Rosicrucian and other mystery schools of the Renaissance. The underlying principle of the Order, for those of us on Earth, is to prepare us for our transition into the fifth dimension (what we refer to as Ascension) by mastery of the four planes of matter – our physical, emotional, mental and spiritual state of being. The work of the Order is extensive, supporting the same spiritual principles for worlds within other Galactic centers and other Universes. The name “Melchizedek” may accordingly be given to any initiate of the Order who has passed the seven levels of initiation into the Order and many of the Great White Brotherhood, including many Ascended Masters, are members. Priesthood is automatically carried over to future incarnations although the Order also initiates individuals when they are in embodiment, which happened to Abraham, Moses and Jesus in their “human” lifetimes. As I mentioned, a primary goal of the priesthood is promoting Christ Consciousness, which is more clearly defined as having a fully opened heart and centering one’s being in the higher chakras. With Christ Consciousness comes the promise of unlimited possibilities where one can view the realities of existence outside the realm of time and space. 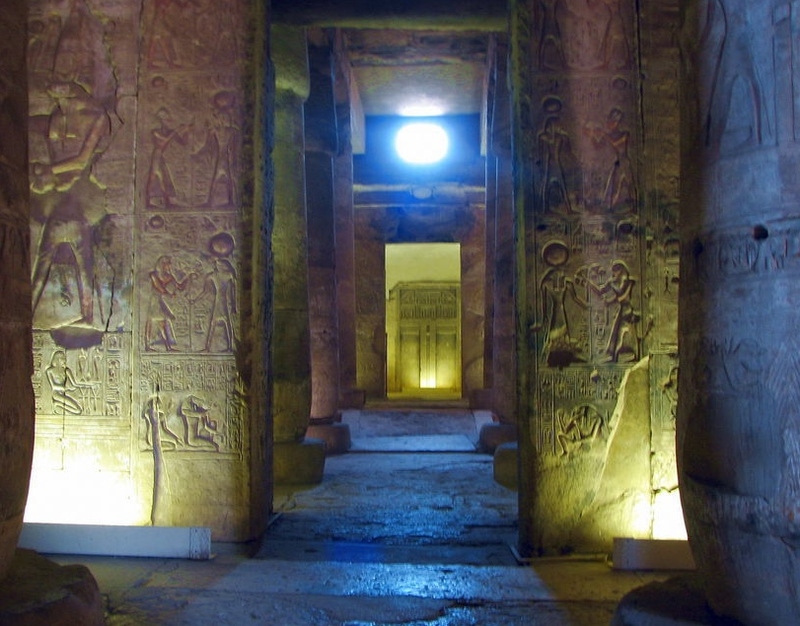 As I walked the dimly lit temple of Abydos, I could envision being back in another time in space where teachings were all about love of God, of each other, and reverence for life. I, too, wanted to walk the Melchizedek path with my ancestors. With that thought, I felt an awakening—a renewed call to spirit. I realized our true purpose is to get to know our God-Self or “the still small voice of God within” which guides each and every one of us. Through this awareness we can ultimately become one with the great I AM energy that connects us all. Great article – thank you Kathy! Also great insight into the Order of Melchizedek which I’ve heard a lot about but never knew its origins. Love your articles, thanks again. I love your writings! Thank you for putting your words out there for us! I want to tell you simply that melchizedek was shem the chosen son of Noah to hold the mantle of Jesus Christ. Really loved the article. I too am a seeker and adore any new inforation on spiritual purity and developing the God Consciousness that we all are carrying in side us! We only have to do the inner work or Great Work and clear away the debris of our lives so that the inner spark can shine! Thank you very much for the article it was very informative. Back in 2005 I had a vision to make a staff so funny story actually I was walking with my brother and there was this big trunk just torn off of a tree and it told me to grab it. I dragged the trunk all the way to my house while my brother was thinking I was completely crazy. From that point on I started shaping the staff out of that trunk it’s a seven footer from then on I was like okay and then what about two weeks later I had another vision that Vision I saw my staff coils with copper centered with a crystal with a geometric shape around the crystal and a eight sided star I didn’t understand the meaning of this design till later on and as I find out the eight sided star represents Melchizedek order also the sacred geometrical shapes around my crystal explains a lot I just thought I’d share that with you thank you once again. Well summarized,from Lemuria through to Atlantis….Back to the Lamb of God. But some will one day want to know the spiritual or mystical name of Melchizedek. Thank you…..very easy reading and feels so accurate in my heart. I’m so glad we have each other’s company together in this mystical existence.